Dendrobium thrysiflorum _Saint Chrysostom__ CCE_AOS. Grower_ Michigan State University Botany Teaching Greenhouses_Jan Szyren. Photograph_ John H. Lewis. The past two years have been the most exciting of my horticultural career. Imagine my delight at receiving a Certificate of Cultural Excellence as my first-ever AOS award for Coelia bella 'Anastasia', CCE/AOS, which scored 91 points. 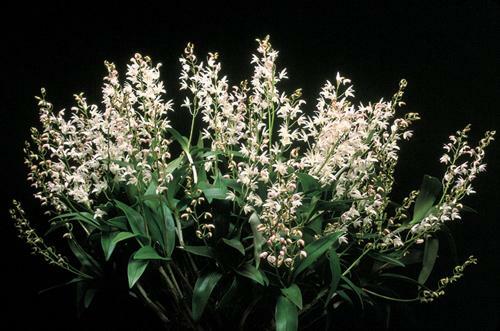 Since that joyful event, the Michigan State University collection is, to quote a local judge, "creating quite a stir in the local orchid community ..." with nine more cultural awards, an Award of Merit and a Highly Commended Certificate, 28 show trophies and countless blue ribbons since. The secret to my success: a new fertilizer developed at Michigan State University. And the great news is you can use this fertilizer at home, too. The nutritional program at Michigan State University is vastly different from the majority of recommendations circulating within the horticultural world about the fertilization of orchids. This fertilizer is now being referred to as "Michigan State University's Magic Fertilizer." 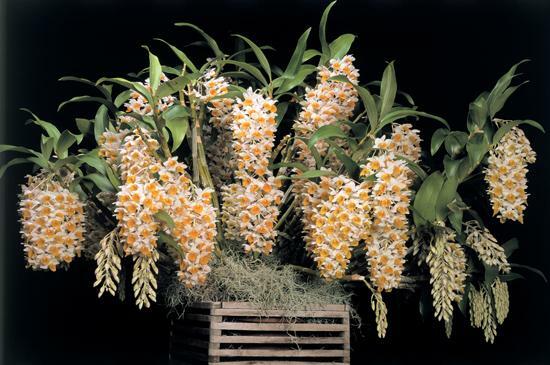 In fact, there were two formulas originally produced for the university that have been shown to work well for orchids. The first, called RO Water Special or 13-3-15, was designed for a pure water source like rainwater or reverse-osmosis (RO) purified water. Due to the extreme variability of well-water mineral content, the RO Water Special formula is the preferred choice for the home grower. The second formula, called Well Water Special or 19-4-23 was designed to complement the well water found at Michigan State University. 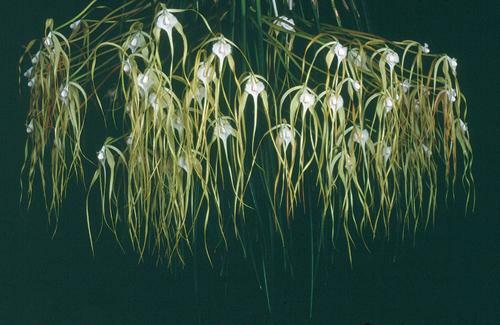 Brassavola cucullata _Saint Mary of Egypt__ CCM_AOS. Grower_ Michigan State University Botany Teaching Greenhouses_Jan Szyren. Photograph_ John H. Lewis. John Biernbaum, PhD, of the Horticulture Department at MSU, along with Bill Argo, PhD, of the Blackmore Company and Larry Metcoff of GreenCare Fertilizers, designed and formulated these two fertilizers for use in the MSU research and teaching greenhouse ranges on a broad range of horticultural crops: Easter lilies, poinsettias, annual bedding flowers, perennials - just about everything but orchids. Several years ago, I sought Biernbaum's advice and he suggested I give the Well Water Special a try on the orchids. I have been using it for the past six or seven years and I also use it for everything grown in the teaching collection: ferns, conifers, annuals and perennials, hundreds, even thousands of tropical plants, cacti and succulents, from mundane coleus to the unusual Welwitschia mirabilis. HOW I USE IT For the MSU orchid collection, I use the Well Water Special at a concentration of 125 ppm nitrogen. I first make a concentrate of the fertilizer by dissolving 27 pounds (12.2 kg) of the Special fertilizer in 50 gallons (190 l) of water, and then add one gallon (3.8 l) of an organic acid (Seplex organic acid by GreenCare Fertilizers) to counteract the horrific alkalinity levels and high pH of MSU water. The concentrate is diluted with well water through an injector at a 1:100 ratio, yielding the solution of 125 ppm nitrogen. For those without injectors, this is equivalent to about 2 teaspoons (12 gms) of fertilizer added to 5 gallons (23 l) of water. I give two to three applications of the fertilizer followed by a generous RO drench, with less fertilizer and more RO for the lady's-slipper orchids and pleurothallids. In essence, this means the plants are fertilized with a low concentration of nutrients at almost every watering. This practice, called Constant Liquid Feed, reduces wastes due to unassimilated nutrients and also greatly reduces potential groundwater contamination from high-concentration runoff. On sunny days, the greenhouse warms up, causing the evaporative coolers or fans to run constantly, circulating such a volume of air that those plants in clay pots or baskets dry rapidly. Also, because the goal is big, beefy new growths, I choose to err on the moist side during periods of active growth. In the warmer months, I also like to go through the entire collection after watering (fertigating) and spray a fine mist of RO, just enough to wash the leaves off and trickle down into the pots. This helps keep excessive build-up from forming (we jokingly call our well water here "liquid rock") and besides, it just makes me plain happy - the earthy smell, the humidity, the glistening leaves and flowers. This is joyful work. Dendrobium delicatum _Christa__ CCM_AOS. Grower_ Michigan State University Botany Teaching Greenhouses_Jan Szyren. Photograph_ John H. Lewis. Of course, in the winter, this becomes problematic. I try to avoid at all costs the slightest amount of water stress, keeping each plant as hydrated as possible. Due to security issues, the orchid houses are locked on the weekends and the collection is left alone for two days. So the plants do dry out fully every weekend. I delight in those occasional dreary rainy summer days, when it's safer to skip watering entirely, those being my best days for repotting, grooming, weeding, sweeping or doing library research. Rare orchids are coming back to Miami Beach. 20,000 of them. 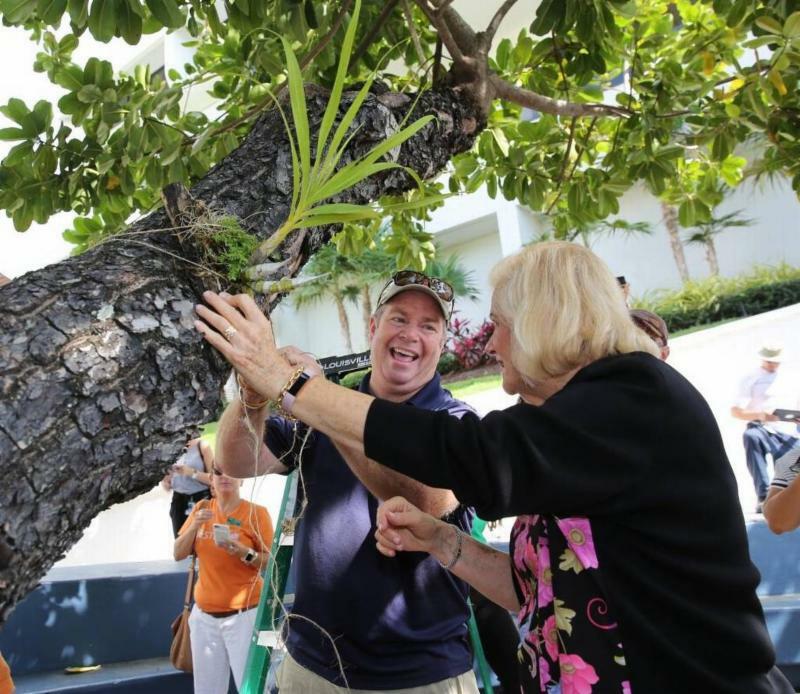 Miami Beach City Commissioner Joy Malakoff delicately tied a rare Florida cowhorn orchid to a tree at City Hall Friday morning. She wrapped the burlap twine around the calophyllum branch three times, and secured the knot with construction-grade glue. "I named it! That orchid's name is now Joy!" she said at the ceremonial orchid planting. "I'm so happy about it, so I thought it was a good name." In an effort to bring the prominence of orchids back to the urban area, the city of Miami Beach is joining Fairchild Tropical Botanic Garden's Million Orchid Project, which aims to plant 20,000 native orchids on the island over the next three years. The city joins municipalities like Coral Gables, Palmetto Bay, Cutler Bay, Bal Harbour and South Miami to revitalize the orchid population in conjunction with the project. 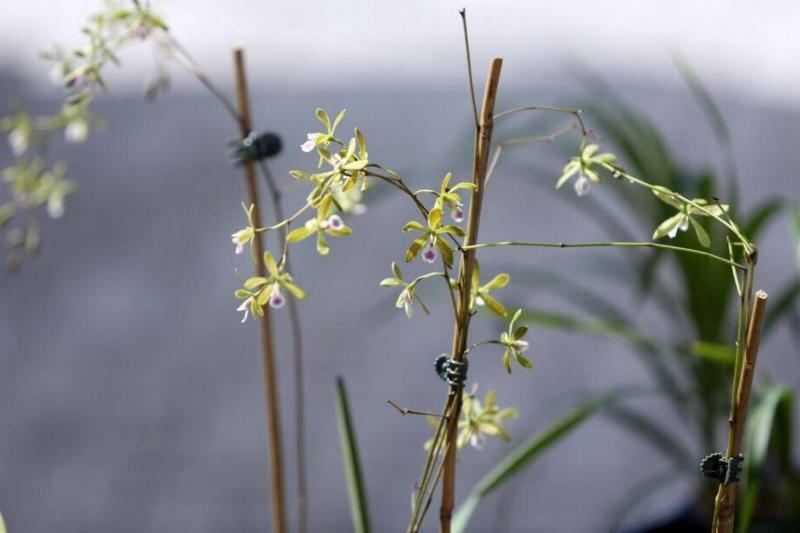 The project is bringing back endangered native orchids such as the butterfly orchid (Encyclia tampensis), pine pink (Bletia purpurea) and the Florida dancing lady (Tolumnia bahamensis). The rare and difficult-to-grow Florida cowhorn (Cyrtopodium punctatum), which Malakoff planted, was also introduced. South Florida was once lush with wild orchids growing on oak and mahogany trees, but habitat loss and orchid poaching depleted the species into near oblivion. That is, until the Million Orchid Project came along. 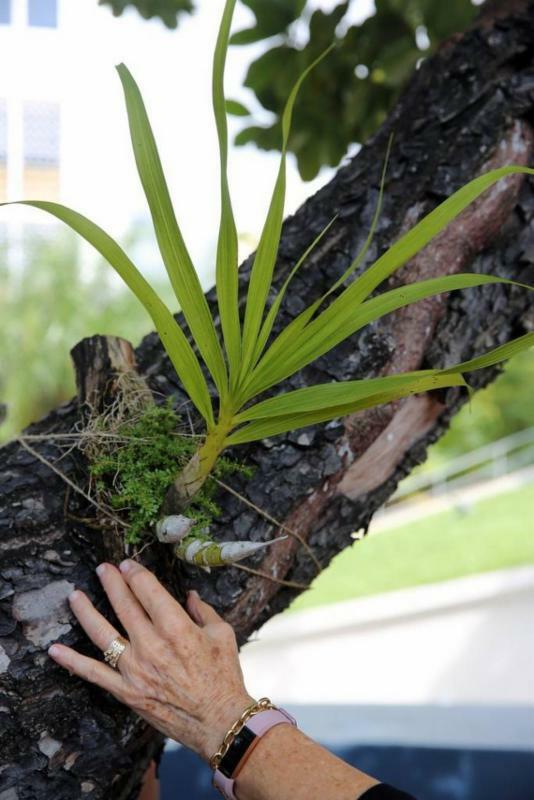 Since 2014, the Million Orchid Project has worked to restore the presence of orchids in public spaces throughout Miami-Dade County, reintroducing about 85,000 rare orchids into the urban landscape. Volunteers, students and scientists provide the manpower. "This project is bringing back some of our lost native orchids to the urban landscape," said Jason Downing, an orchid biologist at the garden. "It's a different twist on traditional conservation." Miami Beach city officials and landscapers are now tasked with taking care of the trees and finding the best spots for orchids, and residents will be asked to monitor the orchids growing in their neighborhoods using a Florida International University-developed app, which rolls out later this summer. According to Carl Lewis, the garden's director, 2017 is the biggest year of the project to date. Over 100,000 more orchids will be planted around the county, which means more people can get involved. "Residents will become stewards of their environment," Lewis said. "Miami Beach is a place where hundreds of thousands of people will see them." In addition to a few Miami Beach residents, several student volunteers from STEMLab, a mobile lab designed by University of Miami students, also attended the planting. Over 40 schools across the county use the mobile lab to test growing environments, plant their own orchids and track progress. Many of the high school students intern for the garden, conducting crucial research used by biologists. 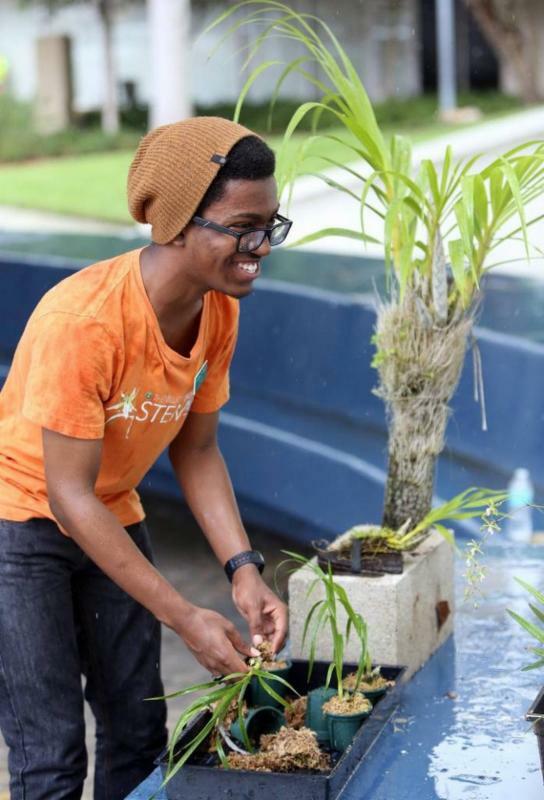 Myles Covington, a recent graduate of Cutler Bay Senior High School, participated in STEMLab at the high school level and is now an intern at the garden. "The native orchid is part of the identity for Florida," said Covington, 18, of Homestead. "I feel like when they're being lost so quickly, we're losing part of our identity." Megan Molina, a rising sophomore at FIU, said she got involved in the project after a tour of the gardens for her freshman biology class. "So many of these species are dying out and we don't even realize it," said Molina, 19, of Kendall. "For us to replant everything and restore what was once here is really important." Magnesium is a major building-block in the formation of chlorophyll. Its role in the functioning of plant enzymes to produce carbohydrates, sugars and fats leads to the importance of regularly providing magnesium as part of an orchid feeding regime. 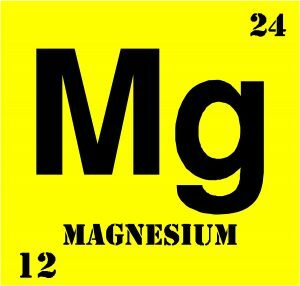 Unfortunately, not all fertilizers provide magnesium, so it is sometimes necessary to add it via some sort of supplementation. Fortunately, that is easy to do using inexpensive Epsom Salt purchased from your neighborhood druggist. But of course, we need to consider just how much to use, and how often to do so. Epsom Salt is a magnesium sulfate mineral - giving a double benefit, as sulfur is a plant nutrient as well. (Its name incidentally, comes from a bitter, saline spring at Epsom, Surrey, England, where it was found to be useful as a bath salt and laxative back in Shakespearean times.) The form that can be purchased at the drug store is the septahydrate, MgSO4*7H2O. By mass, that means that Epsom Salt is approximately 10% magnesium and 13% sulfur, with the balance being hydrogen and oxygen. Many will acknowledge that the Greencare Orchid Special formula for RO water - the original, so-called "MSU" fertilizer - is a very good, complete fertilizer formula. 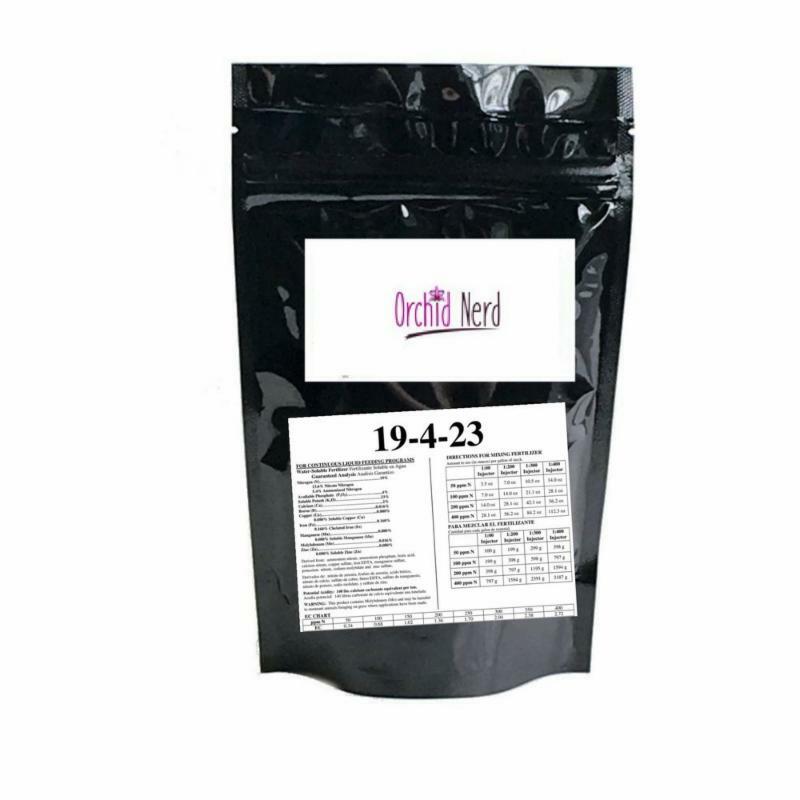 It contains 2% Mg in its dry form. In order to achieve the commonly-recommended fertilizer solution concentration of 125 ppm Nitrogen, the label tells us to use 3.55g of fertilizer to create a gallon of solution. That means, therefore, that the gallon contains 3.55g x 2% = 0.071g Magnesium. K-Lite fertilizer formula (12-1-1-10Ca-3Mg) is a high quality compound fertilizer that combines macronutrients, secondary nutrients.It has been developed in response to studies suggesting that excessive potassium, whether applied, obtained from, or accumulated in growing media can have a negative impact on the health of plants, especially in the absence of adequate calcium and magnesium levels. It's very low in Phosphate and Soluble Potash also contains no urea. The belief that the K builds up in the media over time and inhibits proper nutrient uptake. Many fertilizers are formulated to get the plants big and out the nursery door, not necessarily for long term application. 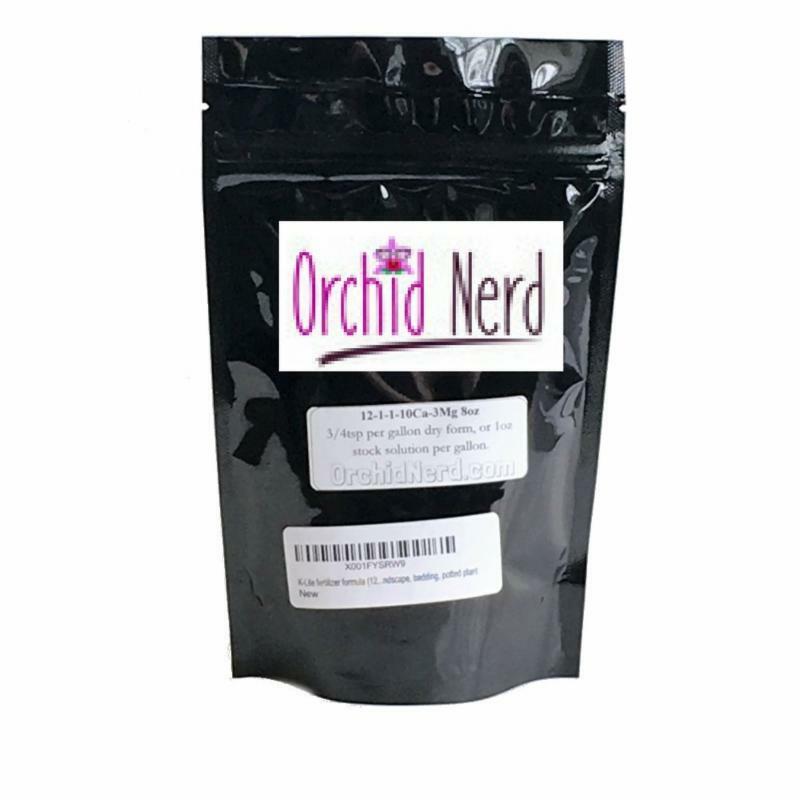 Organic orchid media (moss, bark, CHC) store of monovalent cations (K and Na) better than divalent ones (like Ca, Mg), so after fertilizing plants repeatedly (as we all do), they can become saturated with K, causing root zone toxicity issues ("salt buildup"). Since most growers don't have a lab scale handy to measure that, let's convert it to a practical volume measurement. The bulk density of granular drug store Epsom Salt is about 1.05g/cc. That means that we would need 0.71g ÷ 1.05g/cc = 0.68cc per gallon. As there are approximately 5 cc (or ml) in a teaspoon, that's just a bit more than 1/8 teaspoon (0.136 versus 0.125 - 9% more). Using the "MSU" fertilizer approach of continuous feeding, says we should add about 1/8 teaspoon of Epsom Salt to every gallon of fertilizer we apply. Some however, prefer to do periodic supplementation - typically monthly - but to in order to keep a similar, overall addition level, we need to consider our feeding frequency. If you typically feed three out of four waterings, and water twice a week, then over the course of a month you feed about six times. 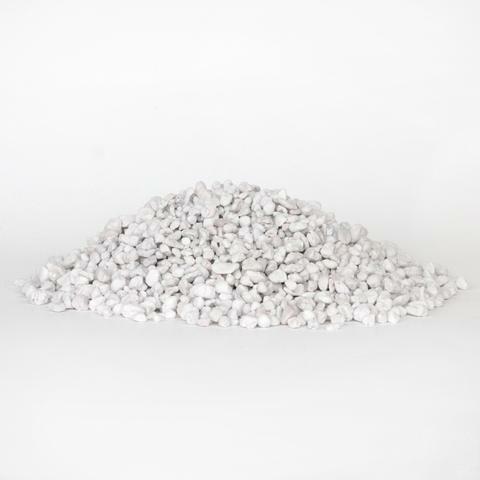 To achieve the same amount of magnesium as if you had supplemented your fertilizer at every feeding, you would need 0.136 x 6 = 0.816 teaspoons - or to make life a bit easier - somewhere between 3/4- and 1 teaspoon per gallon, added to your fertilizer solution once a month. Others do quarterly additions, meaning they should be on the order of a tablespoon per gallon. But at that concentration, the amount of dissolved solids is getting up there, so rather than adding it to the fertilizer and raising the TDS even more, it is probably better to add it to plain water only for application. All-Purpose Potting Mix 1 Cubic Ft.
Paphiopedium Mix 1 Cubic Ft.
Phalaenposis Mix 1 Cubic Ft.
Seedling Mix 1 Cubic Ft.
We have been growing orchid successfully for years in our own Waldor Orchids family Orchid mixes. These mixes were first formulated by George A. Off .Waldor orchids uses only the finest products available. We have grown many plants that have been award in our mixes and believe it to be the best mix on the market. Coconut husk chips mix well with other large ingredients to create potting media. It absorbs water well and holds it like a sponge releasing it as the roots drink. 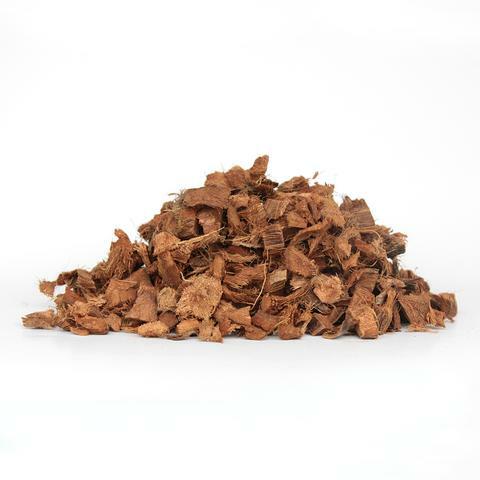 Coconut husk chips are easy to water and slower than bark to break down, remaining open and airy longer. Triple washed and pressed. Coconut husk can contain higher amounts of salt, use caution when potting salt sensitive plants. From hardwood trees. 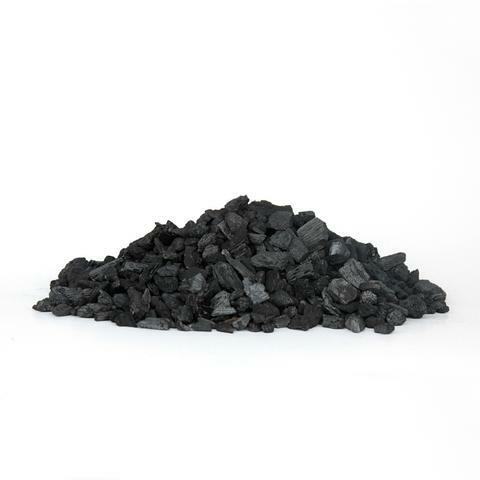 Charcoal is most often used as a medium additive to enhance root system development. Also used as a top dressing to act as filter to purify air and water passing through it. 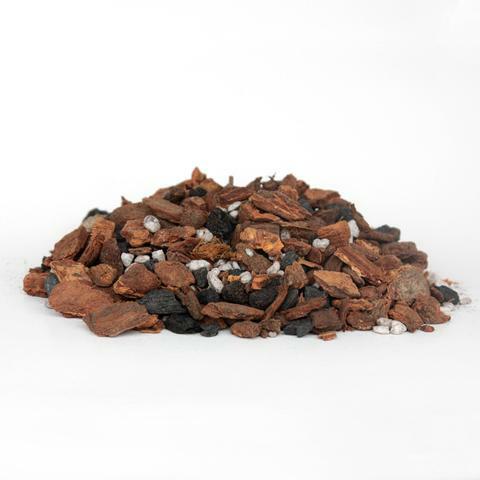 Charcoal is added to orchid mix with the intention of keeping the mix sweet and to filter impurities. Horticulturists have long known the benefits of Compressed long-fibered sphagnum moss. With its unique qualities of retaining 20 times its weight in water and its anti-bacterial sterility, sphagnum moss has become an indispensable gardening tool in the propagation and beautification process. 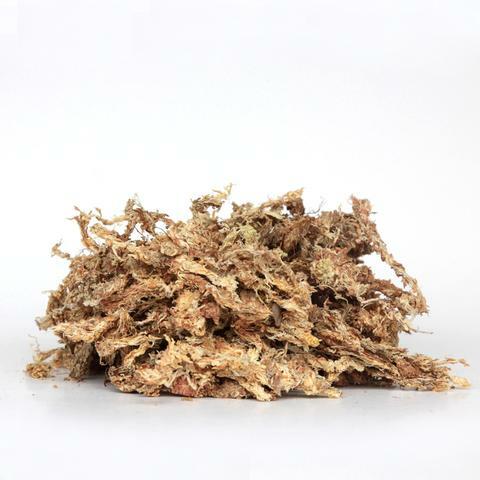 This very clean premium compressed sphagnum moss has long, thick fibers for excellent water retention. Use for fantastic root growth, alone or in a mix. Compressed block expands to hold 20 times its weight in water. 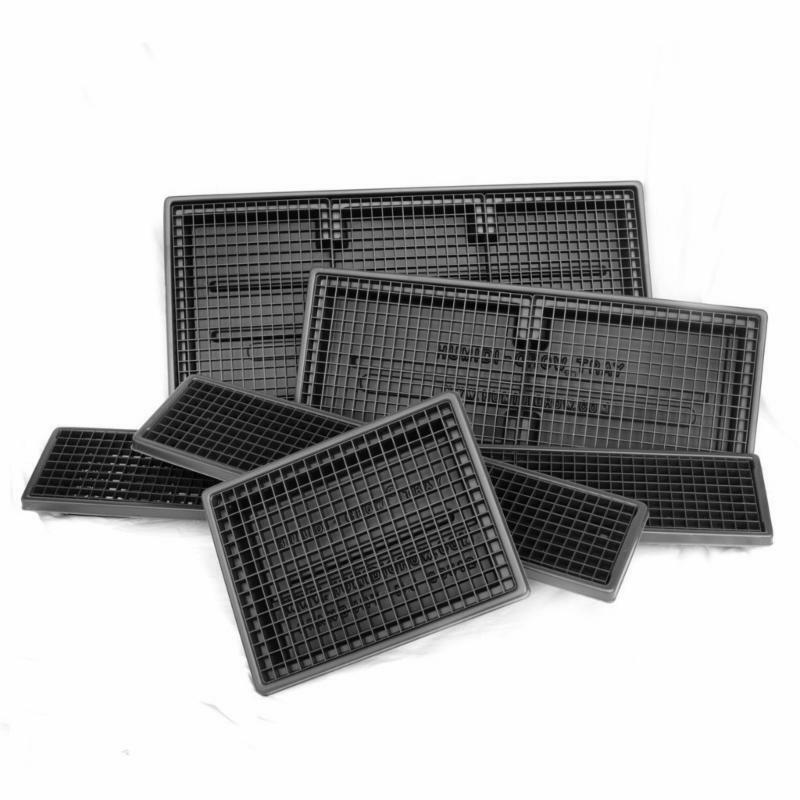 Humidi-Grow Trays are a fabulous tool by creating a more humid environment for your plant. Humidi-Grow Trays will allow you to use pots with large drain holes the overflow will pass through the pot and collect in the tray where the settled water will evaporate and help offset the loss of transpiration of moisture through the leaves. You can have your plants on various pieces of furniture and wood and do not have to mess with saucers, or pebbles or worry about getting water damage from the pot on your favorite wood table or dresser. Black Color only.